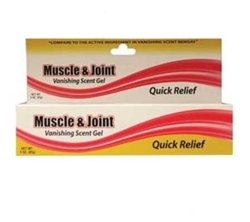 Muscle & Joint Vanishing Scent Pain Relief Gel from Incontinence Products Plus provides quick temporary relief of minor aches and pains in muscles and joints. 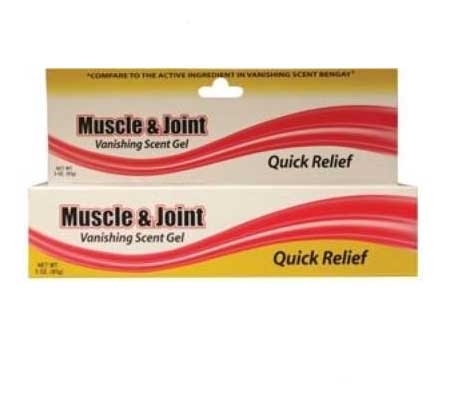 Helps relieve pains associated with simple backaches, arthritis, strains, bruises and sprains. It is a menthol pain reliever that has a vanishing scent. English Style Ice Cap 9" by Fabrication Enterprises ThermaCare HeatWraps Knee & Elbow - Pack of 2 ColPac Original Reusable Cold Packs Blue Vinyl Stay-Dry Ice Bag with Ties 6-1/2" x 12"